In an effort to alleviate boring lifeless Blender models, about a week ago, I posted an article entitled, "Creating Your Own Textures for Blender, Marvelous Designer, Second Life, etc.". 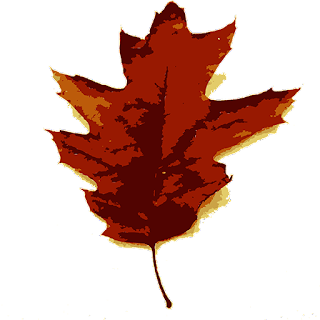 In that article, I provided you with a couple of video resources to get you started, which included information about taking your own nature photos, a video how to make your textures seamless, and a video on making wood grain via Photoshop (or other graphic software packages). If you have done your research, you will have found more video "How Tos" than you will ever be able to watch or read! The past couple of weeks I have been working on a monthly Blender student challenge located at GameDev.tv. It is a community set up for students taking the "Learning 3D Modeling: A Complete Blender Creator Course" along with Unity and Unreal courses at Udemy.com. They have a Weekly and now a Monthly challenge using Blender, which is something run by students with the winner choosing the next challenge's theme. LOL...yes, this is a bit dark but is suppose to be in a dark dungeon where lost treasure is found! 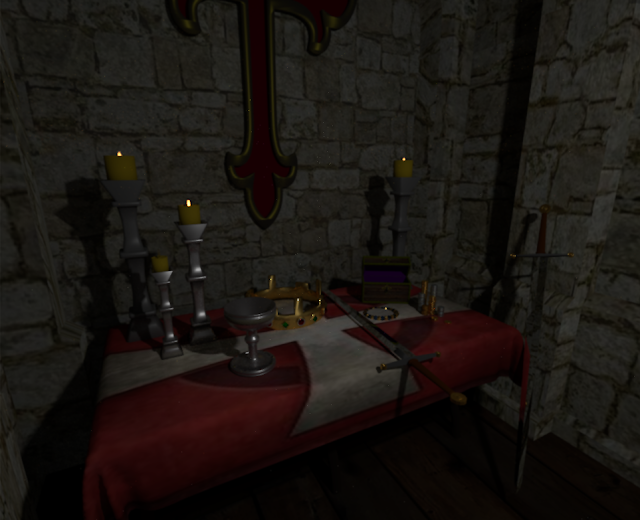 Anyway, you can sorta see the sword I made laying in the table in the lighter version below. I learned long ago why reinvent a tutorial to share when there are excellent ones already out there but, they may be difficult to find or underutilized. Recently, I participated in community challenge for a Udemy Beginning Blender Course I am taking. The challenge was "Treasure Hunt". Since I was reading some historical fiction when I stated, I decided to so a big of historical medieval treasures. LOL yes, it was made to look dark...you know...lost treasure in a crazy dark medieval castle dungeon. Everything, with the exception of the table cloth was made in Blender. Since I don't particularly care of Blender's cloth simulation, the table cloth was made in Marvelous Designer and the initial texture was add there. 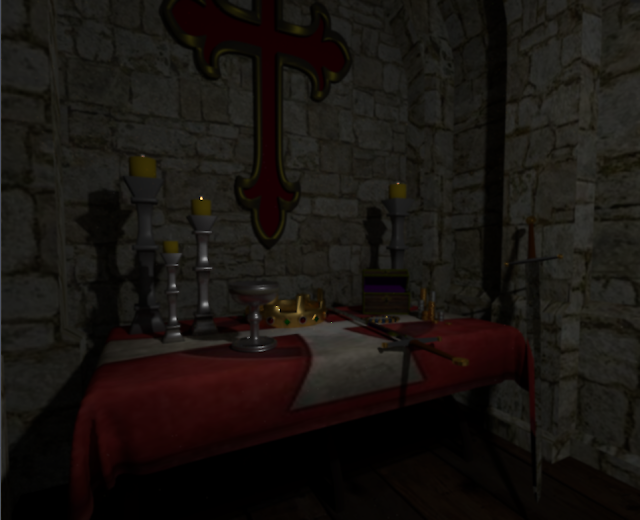 All textures, with the exception of the stone walls and the table cloth were created in Blender's Cycle Render, which does a really good job of metals by the way. CREATING YOUR OWN TEXTURES FOR BLENDER, MARVELOUS DESIGNER, SECOND LIFE, ETC. Today, I want to share some resources for making your own textures. I been mucking around with the Udemy Beginning Blender course for a couple of months now. Thank heavens it is a one time fee for the course since I am slow at learning. I want to share one of the projects we did via the course. We have been using Blender Render and Blenders Cycles to render things we have made. The following screen shot is of renders done we made in Blender and is the completion of the Fluffy Bunny Section of the actual course itself. 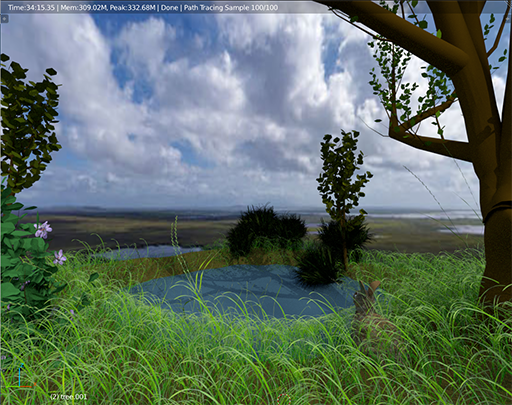 The particular project was to create a bunny then add grass, bushes, and trees to the scene. We created all the items in Blender using various methods including particle generation and using the sapling add-on for the bushes and trees. The actual grass and flowers textures were in the course asset packet to use for our scenes.